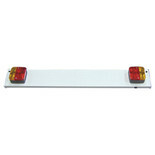 A 1300mm wide white trailer lighting board with approved, square 4 function rear facing lamps, fog lamp and mounting holes. 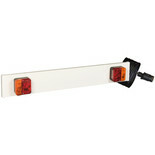 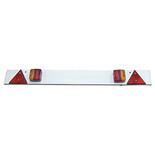 A 915mm (3ft) wide white trailer lighting boards with approved, square 4 function rear facing lamps. 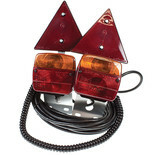 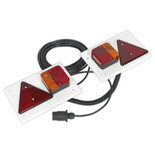 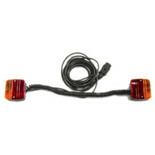 Magnetic lighting units consisting of 2 x four-function lamps on steel mounting plates, wired with extending connector cable, and fitted with powerful magnets for quick and secure attachment. 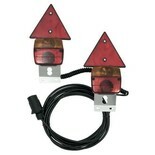 This conversion adapotor allows the connection of a 7 pintrailer to a 13 pin equipped vehicle. 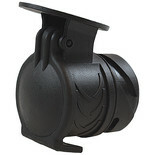 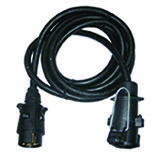 The adaptor is easy to fit and use, and means there is no need for rewiring needed. 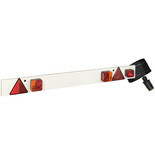 The Maypole MP600 allows theof a 8/13 pin trailer to a 7 pin 12N vehicle. 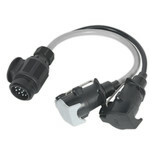 The adaptor is easy to fit and use, and means there is no need for rewiring. 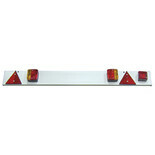 4½ft Magnetic trailer board suitable for use on trailers and cycle carriers. 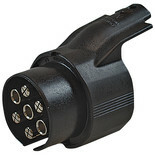 The Sealey TB55 converts 13-pin Euro vehicle socket to 7-pin N-type and 7-pin S-type caravan and trailer sockets. 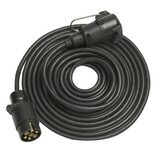 This conversion lead is also fitted with a 200mm cable.